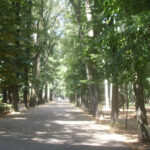 The Associazione Italiana per la Ricerca sul Cancro (Italian Association for Cancer Research, AIRC), a private non-profit body, was founded in 1965 on the initiative of several researchers from the Istituto dei Tumori in Milan, including Professor Umberto Veronesi and Professor Giuseppe della Porta. Since the year of its foundation, the AIRC has always been engaged in promoting cancer research in Italy, and it has expanded continuously. It now has 17 Regional Committees and over 4,500,000 supporters, so many people who through their generosity allow the Association to exist and continue to pursue its work. The activities of the AIRC consist of the collection and disbursement of funds to foster progress in cancer research and of providing the general public with accurate information about the subject. The funds are destined to cancer research through a strict, meritocratic and transparent process of selection and supervision. Working alongside the technical-scientific Committee is a group of over 600 foreign researchers chosen among the most eminent scientists in cancer research. Their task is to identify the best projects through a process that lasts around nine months. 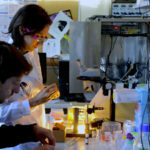 From its foundation up to the present the AIRC has distrubed funds totalling more than 984 million euro for research projects carried out in the laboratories of Institutes, Universities and hospitals all over Italy. It has also disbursed a total of more than 39 million euro in scholarships for the trauining of young researchers. The Ente Cassa di Risparmio di Firenze has launched a collaboration with AIRC aimed at co-funding the research projects proposed in the area of competence of the Foundation within the traditional calls for proposals of the AIRC, in addition to a specific and innovative call for proposals, jointly drafted and funded, for projects proposed by the Florentine research groups. Through the synergy with the AIRC the Foundation has doubled the volume of the contribution to cancer research (approximately 2 million euro), collaborates with an institute of excellence within the national territory, adopts a peer review evaluation process entrusted to an institution which has developed a specific and extremely sophisticated process which is recognised by the principal institutions in the sector. An ulterior objective is to increase the project capacity of the local researchers who will measure themselves against the level of excellence of the AIRC evaluation process, which represents a serious opportunity for growth in view of the contact with an entity of objectively international standing.